Maude E. Lane, age 87 of Prospect died Tuesday, February 14, 2012 at Riverside Methodist Hospital surrounded by her loving and devoted family after a brief illness. She was born March 26, 1924 in Crookston, Minnesota to the late Andrew and Laura (Quinby) Seaton. On August 5, 1943 she married Charles W. Lane and he died November 7, 1994. She was also preceded in death by a grandson, Keith Richard Lane, two brothers, Oren Seaton and George Seaton, and two sisters, Lucile Klevan and Edna Seaton. 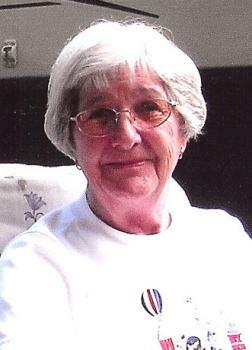 She was an active member of Prospect Senior Citizens. She enjoyed her flowers, bird watching, and sewing. She ran a ceramic business for years out of her home. Maude gave many years of service at Grady Memorial Hospital both as an employee and a volunteer. Her family was near and dear to her, especially her special great-grandson, Luke, who kept her going. She is survived by two sons, Larry (Cindy) Lane, Prospect; Garry (Linda) Lane, Hermitage, Pennsylvania; a daughter, Julie (Doug) Leonard, Howard; a sister, Leah Brolsma, Crookston, Minnesota; five grandchildren, Laura (Andy) Russell, Jennifer Crosbie, Becky (Joe) Blaze, Erick (Chrissy) Lane, Christy (John) Piccirilli; seven great-grandchildren, Abigail, Lane and Luke Russell, Billy, Jesse and Emily Blaze, and Cody Crosbie and a dear friend, Vera Oehler. Funeral services will be Saturday, February 18, 2012 at 10:30 AM in the Stofcheck-Ballinger Funeral Home, Prospect with Pastor Rich Allen officiating. Burial will follow in Radnor Cemetery. Friends may call on Friday from 4 to 7 PM at the Stofcheck-Ballinger Funeral Home, Prospect. We were sadden to hear of Aunt Maude's passing. Our hearts, thoughts, and prayers are with you at this difficult time. We send our sympathy and love to you. We just found out last night through an email from Ed Kline that your momma has passed on. We are so sorry for your loss. You and your family are in our thoughts and prayers. We will be donating to the Alzheimers Association in memory of your mom. My mom had early onset Alzheimers Disease, so I know what you went through - it's a tough journey for all involved. So sorry for your loss. I have fond memories of your Mom teaching me about ceramics. She was a dear woman. May God give you peace during this time. Due to illness we are unable to attend the calling hours or service. Our deep sympathy and our prayers are for al of you at this time.